Ronan Le Gloahec has been appointed Weir Oil & Gas managing director, EMEA Region. (Photo: Business Wire). Le Gloahec will lead the Dubai-headquartered Weir Oil & Gas business unit. He will have responsibility for manufacturing and service of pressure control equipment, rotating equipment, OCTG tubular products as well as operational and maintenance contracts with end user E&P companies and national oil companies across the Middle East, Africa, Caspian and Europe regions. 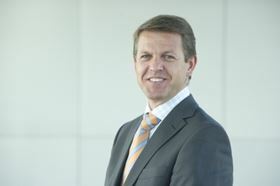 Le Gloahec was most recently senior vice president at Welltec A/S, with responsibility for executive management in the Middle East and Asia Pacific region. Before joining Welltec in 2011, Le Gloahec was the Europe, Caspian and Africa well services vice president for Schlumberger where he was responsible for the executive management of Cementing, Pressure Pumping and Coiled Tubing Services. Le Gloahec spent 15 years with Schlumberger where he held a number of technical, service delivery, commercial and line management positions in North America, Middle East, Asia Pacific, Europe/Caspian and Africa with the Well Services and Completions Technology Segments. Le Gloahec holds a master’s degree in chemical engineering, environment/water treatment from Ecole Nationale Superieure de Chimie de Rennes in France.